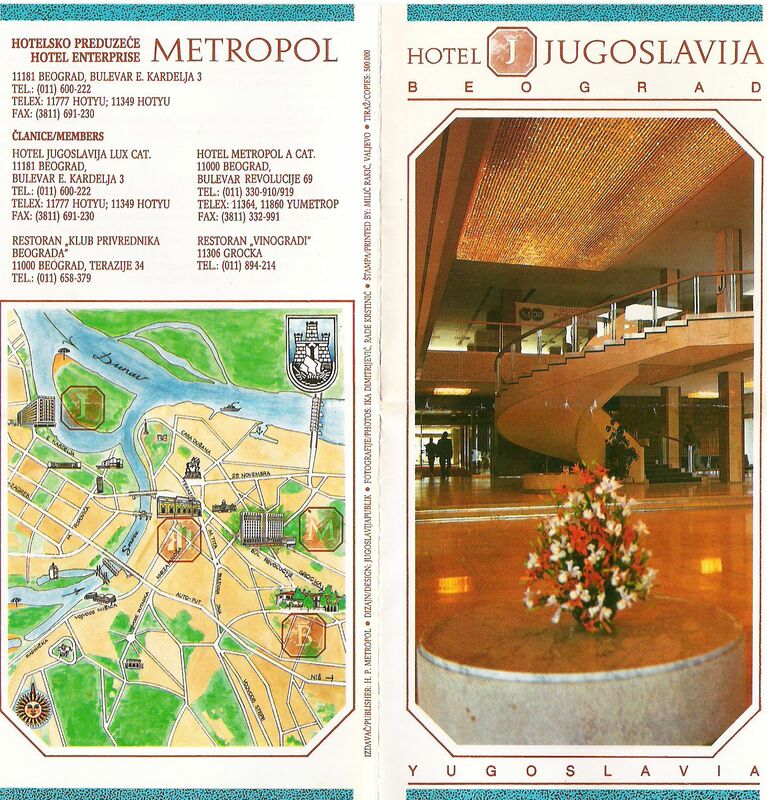 This is a scan of a leaflet of the hotel we stayed in when we tried to get to the enclave of Srebrenica. This was a very strange convoy. What basically happened is that we tried to get the Dutch contingent in Srebrenica out, but were denied passage. So we had to stay somewhere and ended up in Belgrade. The next morning we went back to Zagreb.